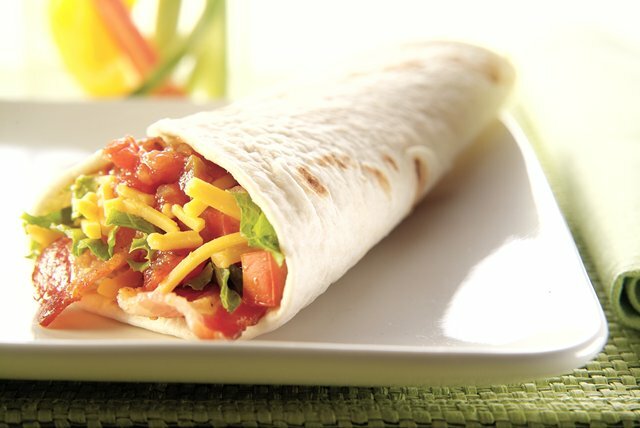 Bacon, lettuce and tomato do their BLT magic, Southwest style, in these cheesy, salsa-filled tortilla roll-ups. Top tortillas with bacon, lettuce, tomatoes and cheese; roll up. Serve this easy take on a BLT with raw veggies and a piece of fresh fruit. Stack several washed and dried lettuce leaves. Roll up to form a cylinder. Cut crosswise at 1/4- to 1/2-inch intervals to form long shreds.